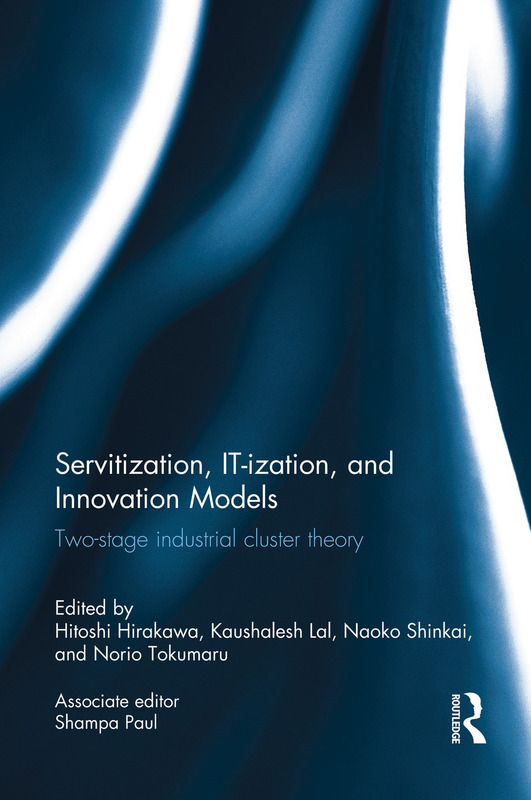 This book looks at two-stage industrial cluster theory and new innovation models in view of IT-ization and servitization of products. The formation of industrial clusters such as export processing zones and special economic zones has been the preferred mechanism for developing countries to boost their industrial development and export performance for the last several decades. Existing literature related to Development Economics cited numerous benefits of industrial clusters and several countries have reaped such benefits. The book goes beyond formation of traditional industrial clusters. It promotes the idea of formation of two-stage clusters. The book further stresses on new innovation models. The ideas are promoted based on the empirical evidence of Chinese and Taiwanese firms in consumer electronics and automobile sectors. Finally, the book looks at firm strategies in new business environment which is dominated by servitization of industrial products. It argues for firms to integrate manufacturing and services to a great extent. To substantiate the arguments, empirical evidence comes from India, Taiwan, and Bangladesh. The study further finds evidence, perhaps for the first time that innovation and knowledge acquisition strategies are influenced not only by size of firms but also vary with market preferences.